I have purchased the mothercare pram and I can't be happier of that. I would recommend the pushchair to all mothers because it has a light weight and has very flexible wheels. The price is fair because the quality of the product is wonderful. I choose tbis product for my son who is now 2. 2. The pram was so easy to use, light to steer, and also the adjustable handle. I'm 5ft 7. My husband is 6ft 1. I wanted it to be high enough for him as well. Which it was perfect. 3. I was so adamant I wanted a pram with large basket and big carry cot space for baby can last long time. This was what it did! Was so big my son could of been in there till he was 1. 4. Finally the colour pack options. We choose red but am expecting again and for £50!!!! It's like I'll have a whole new pram for this one. Good for the price. Would recckmend the 4 wheel version though. Does from 0-3, car seats are fairly strong. Fits in public transport nicely, do not have to struggle to get it through doors. Would recckmend. Easy to assemble. Looks lovely. Nice to use. Rain cover is rubbish. Straps hang down. Very good value for money, i purchased mine on an offer with a free matching changing bag. It's very easy to assemble, i did this myself. I love the idea that the carry cot turns into the seat for later however the straps used to change it hang down which doesn't look tidy. The Rain cover supplied ripped in half on first use so mothercare sent me a new one however that's also ripped. It also doesn't attach to the pram so blows off in strong wind. I like the window in the hood, baby likes to watch the world go by when we are out. It's lovely to push, the handle goes up alot higher than others i tried which is brilliant as im tall (5'9). When driving, its quick and easy to get up and down although can be bulky. I also use public transport alot as i live in London, its lightweight and easy to use on buses and trains. The basket underneath isn't huge so you'll need a clip if you need to carry alot of shopping. Overall, i would recommend this pram. This pram is great to look at and great to push, we bought ours in red but there was so many colours to choose from! Its easy to push, its lightweight, it folds quickly and fits nicely in the boot of the car. My daughters 18 months and we still use our pram from time to time! Our pram is still in great condition too so definitely made to last! All together I’d totally recommend this pushchair, easy to use, light and easy to carry, comfortable suitable from birth which is a pro! Super great for extra luggage and shopping and most importantly baby! Would definitely use with next baby. Looks classy and kool and is great value for money. 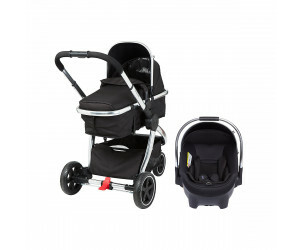 Easy travel system to use and very light weight. Break can be abit hard to turn off. Was abit nervous about using this pram bring a first time mum but it amazing quality for price. It is light weight and easy to carry up and down stairs and also looks lovely. Very easy to stear, sturdy pram, great value. I love this pram! 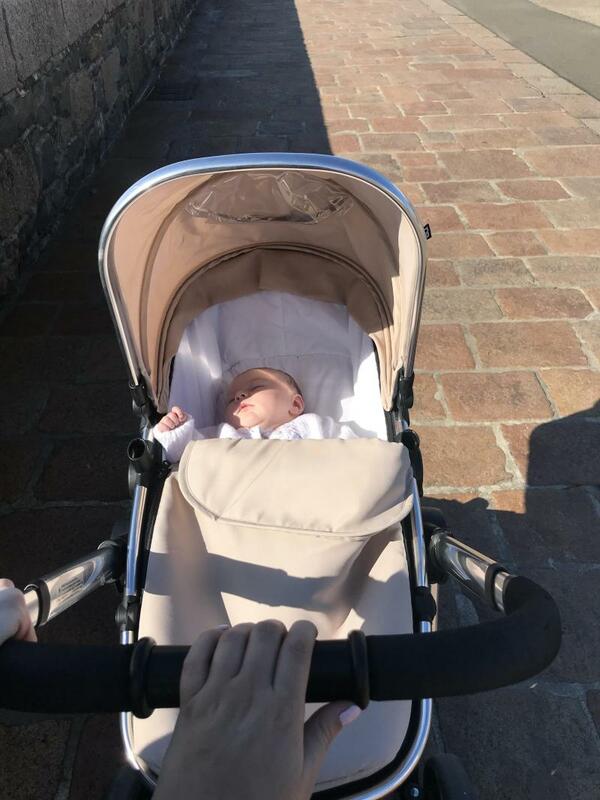 I’m currently using this pram for my third baby and having previously had much more expensive branded prams with my previous children I am very pleased with how sturdy and easy to steer this pram is. It is very easy to manoeuvre in tight spaces such as lifts and good on more uneven terrain too! 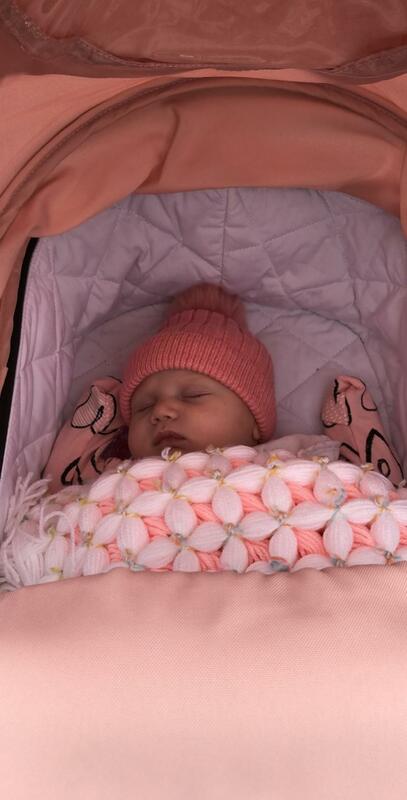 I really love this pram and my baby always looks very comfortable and happy in it. 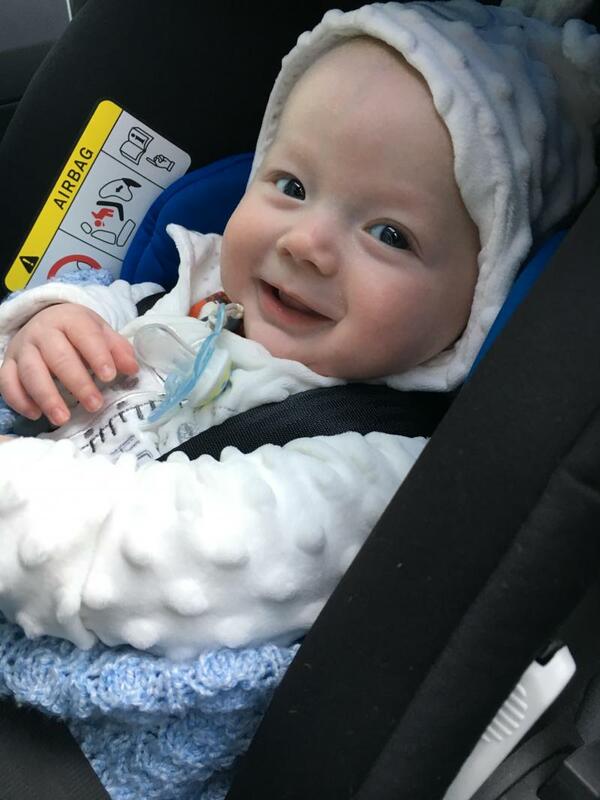 The bumper bar is able to be released at one side and swivels around, enabling access to the baby for getting them in and out more easily. The pram is now 7 months old and still looks amazing, I am very pleased with this purchase and would definitely recommend it to family and friends in the future. It’s easy to steer, fold up and set up. This is quick and easy to get ready and use. I’m a single mum so I tend to go out with my newborn alone a lot and this pram is my go to out of all of them. It’s easy and small enough to fit in my boot (a fairly small boot) and it’s not time consuming to put up and take down. i needed a quick replacement pram as the one I had previously purchased was an awful experience all round. This £300 travel system saved my boring days of feeling trapped inside with my newborn. He doesn’t like being laid down so the fact the car seat clicks on and off is the best thing for us. And the Bassinet hasn’t gone to waste as it so easily converts to the 6month+ seat. I have just been so happy with this pram since I got it, easy to set up and use it just makes sense. Great versatile buggy and so easy to use with the car seat. Good size shopping basket. you Have to disassemble the whole buggy to fold it down. This is a Really good buggy. Mine has lasted well for my first child and I will be using it for my second. Unfortunately until you start using the main seat you have to disassemble the whole buggy to fold it down to fit in the car. But once your child is in the buggy seat Rather than the carrycot you can fold it all down in one which is amazing. The shopping basket underneath is plenty big enough for all your shopping. And the buggy is really easy to push. 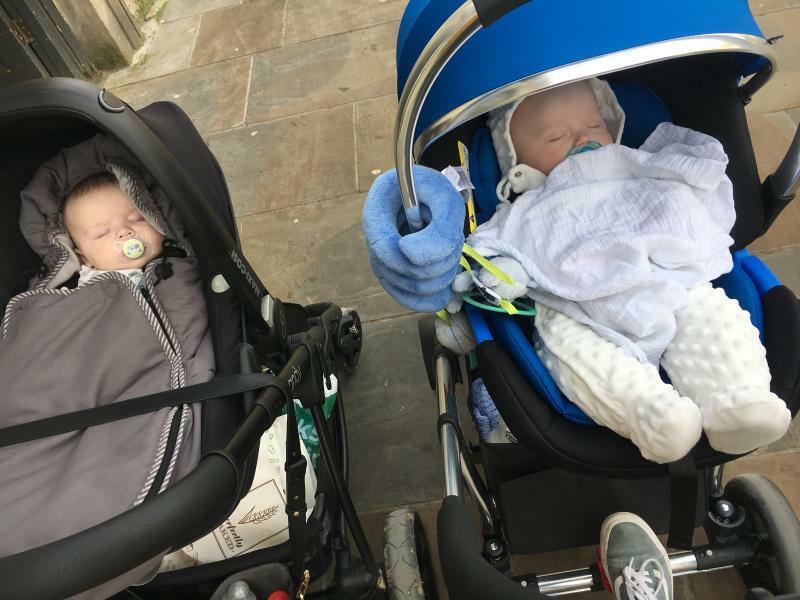 This is a lovely travel system easy to convert from carry cot to pram seat,it's nice that you can have the pram seat facing you or the world as little one gets older,the only down side is that it is hard to fold when you are holding little one. The wheels could have more grip. I have this pram in blush pink, I absolutely love it it’s great value for money. I struggled the first few weeks when out on my own disassembling the main frame on the pram as I found it hard because I had a csection. The wheels can be sloppy on wet surfaces like in the snow etc as there is no grip. Apart from that I love it, it came with added extras so you can alter the pram to suit your child’s age. The car seat can click on the the main frame also which comes in handy when out shopping. The frame folds up quite tight, the break is amazing, plenty of space underneath, baby loved it. Awkward to fit it and the carry cot in the boot. This product is perfect. My little one and my nephew absolutely loved it. Super comfortable. The car seat is amazing. Overall it’s an absolute bargain! Can’t really fault it too much. The storage it has in the shopping basket is perfect, it also has a little hide away slot which is great for your red book or other little things. 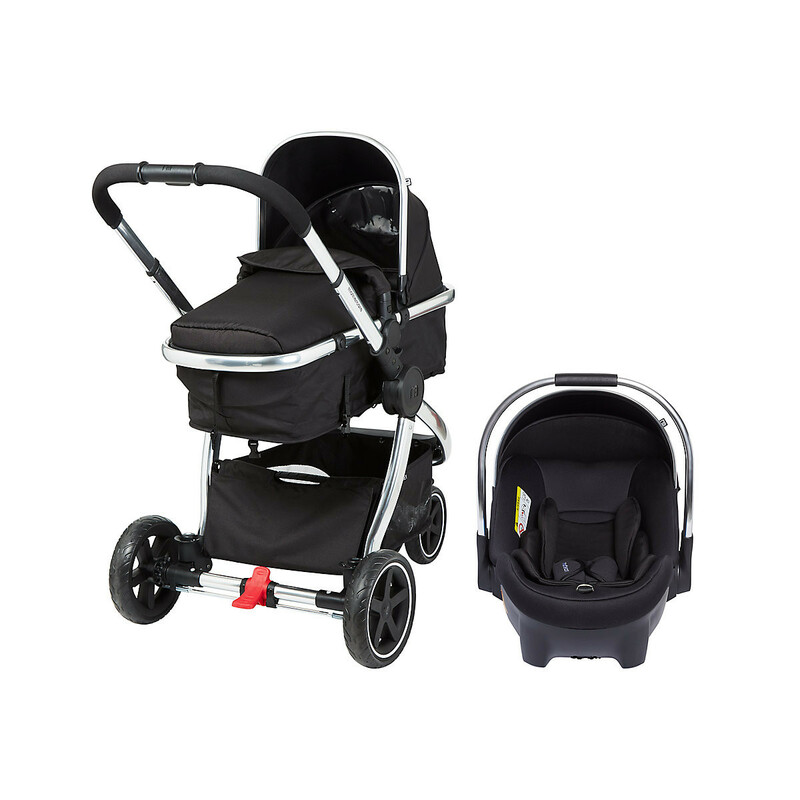 The Mothercare 3-Wheel Journey Travel System comes equipped with a coordinating group 0+ car seat and is all you need for every journey from birth to toddler. comes complete with infant group 0+ car seat. The seat clicks on and off chassis to form a travel system using included adaptors. The car seat is suitable from birth to a max. weight of 13kg/29lbs (approx 12/15 months).